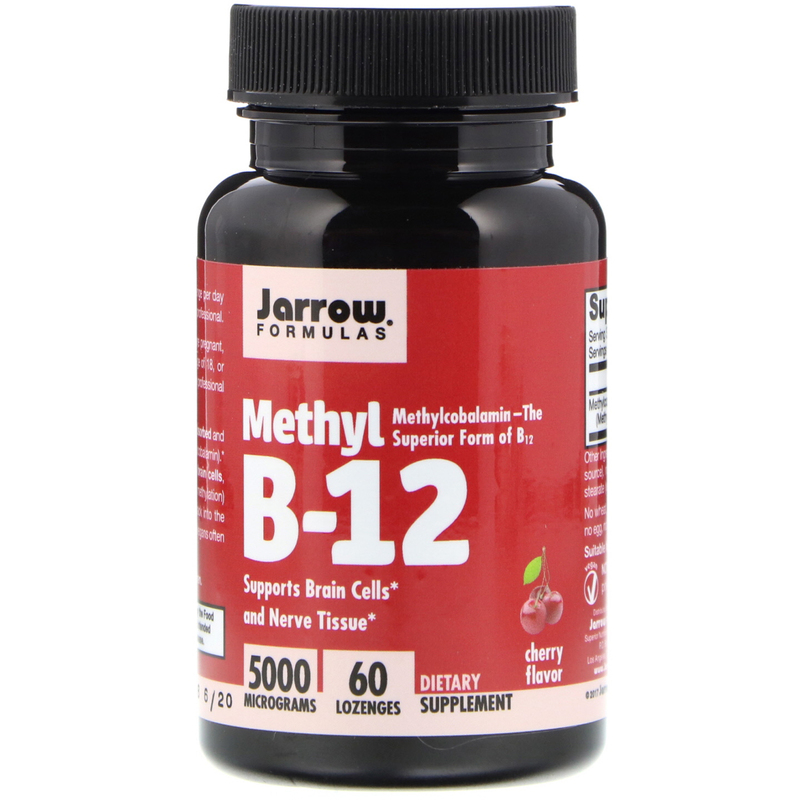 Methylcobalamin (Methyl B-12) is better absorbed and retained than other forms of B12 (e.g. cyanocobalamin). Methyl B-12 supports nerve tissue and brain cells promotes better sleep and converts (via methylation) homocysteine, an oxidizing metabolite, back into the amino acid methionine. 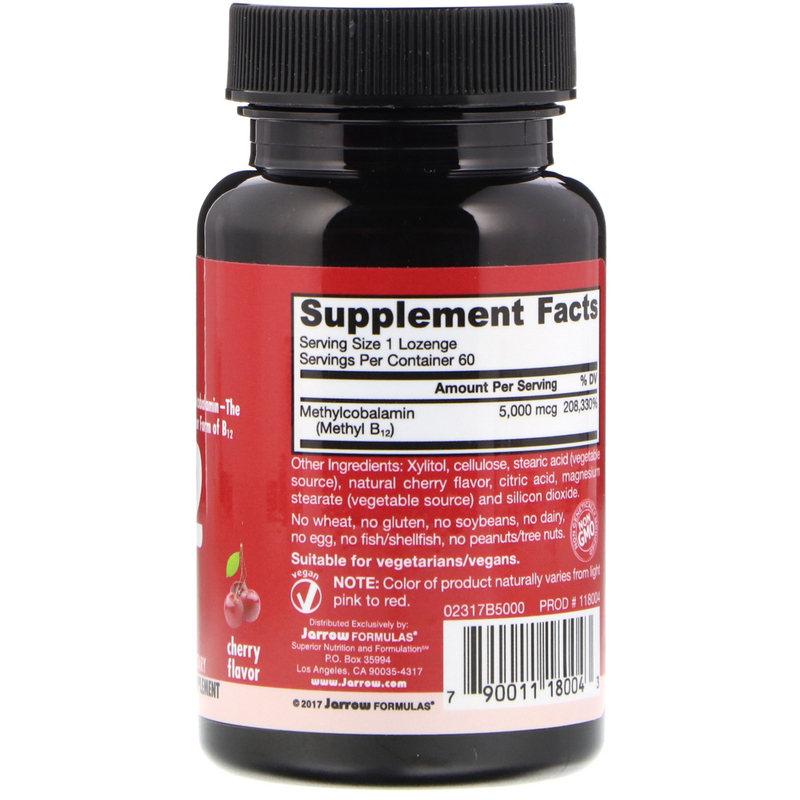 Also vegetarians/vegans often require B12 supplementation. Dissolve in mouth or chew 1 lozenge per day or as directed by your qualified healthcare professional. Xylitol, cellulose, stearic acid (vegetable source), natural cherry flavor, citric acid, magnesium stearate (vegetable source) and silicon dioxide. Note: Color of product naturally varies from light pink to red. If you have a medical condition, are pregnant, lactating, trying to conceive, under the age of 18, or taking medications, consult your healthcare professional before using this product.